Earlier this week Farm Credit Canada, the leading agriculture lender, released their farmland prices report for spring of 2013. FCC appraisers estimate market value using recent comparable sales. These sales must be arm’s-length transactions. Here’s a summary of the report. During the second half of 2012 Quebec experienced the highest average increase at 19.4%. Saskatchewan, where my farm is located, experienced a 9.7% increase. Remember folks these are not annualized appreciation. The changes were only during the span of 6 months ending December 2012. So the farm I purchased last year for $150,000 should be worth at least 1.65%, or roughly $2,500 more at the beginning of this year. Woot! So yes, my farm HAS turned out to be a good investment so far. It feels good when an investment pays off like that! Anyone who followed me into the exciting world of farmland investing last year probably have also done pretty well, especially if they bought in Quebec haha. $2,500 return in 3 months is not too shabby 😀 This is why I love investing! After making the initial investment I literally did nothing with my new farm except sit back and watch it appreciate. This was the easiest $2,500 I’ve ever made, at least on paper anyway 😉 The stock market had a bad start this week, especially resource companies 🙁 but that’s why it’s important to diversify 😀 When one investment fails to perform it’s good to have others to fall back on. [Edit on Sept 29th, 2013] Just read a recent RE/MAX report on the latest Canadian farmland price trends. 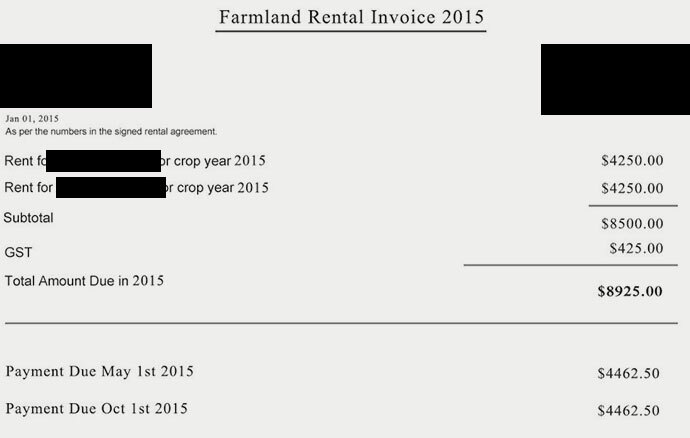 The average price of Saskatchewan farmland is now well over $1000 per acre. A huge change compared to previous years.